Oncology nurses are a relatively new breed of nurses. Before 1950, the only option for cancer patients was surgery. Since that time, the role of nurses has evolved greatly; they are no longer limited to inpatient care for cancer patients. Developments in medical science created radiation therapy and chemotherapy as alternative treatments options. Nurses gained new roles and responsibilities because of these discoveries. Oncology nurses plan a vital role in the treatments of cancer patients, and they possess special knowledge and skills that are necessary for their line of work. An oncology nurse provides direct care for cancer patients. It is also the responsibility of an oncology nurse to consult with patients and provide education to those individuals. Oncology nurses work in a variety of settings to work with patients at risk of developing cancer or those who have already developed cancer. They offer cancer prevention counseling, health care, screenings, and cancer education. The oncology nurse is a liaison between all healthcare professionals involved in a patient’s care. They coordinate the care of patients so that the patients receive the best care possible. The area of oncology nursing is extremely diverse so many choose to focus on a particular area. The specialization areas include palliative care, chemotherapy, biotherapy, prevention and early detection, symptom management, breast oncology, hematology/oncology, bone marrow transplant, cancer genetic counseling, radiation, surgical oncology, or GYN oncology, and head and neck oncology. A career as an oncology nurse begins with earning the appropriate education. The bachelor’s degree in nursing is required to become an oncology nurse. Some students choose to earn an associate’s degree or a diploma in nursing before pursuing their bachelor’s degree. It is also necessary to receive the credentials to become a registered nurse before working in oncology as a nurse. Nurses need to fulfill further requirements to become an oncology nurse. In addition to the basic nursing education and the registered nurse credentials, they must practice nursing at the generalist level. They gain knowledge and skills in the area of cancer care from clinical experiences. These skill sets are cancer specific and far beyond the aspects learned in a basic nursing program. After working a set number of years in a nursing position, it is a good idea to take a nursing certification exam to increase job marketability. Possible certification exam that are available include Certified Pediatric Hematology Oncology Nurse (CPHON) and Oncology Certified Nurse (ONC). Becoming an advance practice nurse working in oncology requires a minimum education of a master’s degree in nursing. An advanced practice oncology nurse must demonstrate proficient knowledge in providing exceptional care to cancer patients. They may take certification examinations such as Advanced Oncology Certified Clinical Nurse Specialist (AOCNS), Certified Pediatric Oncology Nurse (CPON), and Advanced Oncology Certified Nurse Practitioner (AOCNS). Oncology nurses receive a substantial salary for their nursing knowledge and skills. The national average nursing salary for oncology nurses is approximately $35,000 annually. These wages may not seem very high for the field of nursing but the salary depends greatly on the education level and experience. An experienced oncology nurse can earn wages of $60,000 or more per year. The highest wages are reserved for those who are advanced practice nurses. Healthcare facilities prefer those with the highest level of skill and education to care for cancer patients. Their salaries can range from $60,000 to $125,000 annually. There is always the option to earn higher wages by taking on additional shifts in healthcare facilities. Additionally, earning additional certification areas in oncology nursing can also drive the salary range even higher. The outlook for the oncology nursing profession is amazing. There are always available nursing jobs in hospice, home health, community health, and public health settings. There is also the option to assist with inpatient and outpatient care in hospitals. The nursing shortage has created the need for many certified oncology nurses. The outlook for nursing positions is expected to exceed 10% over the next ten years. With new advancements in medicine, it is possible that many more positions will be created to keep up with the latest medical advancements in the healthcare field. 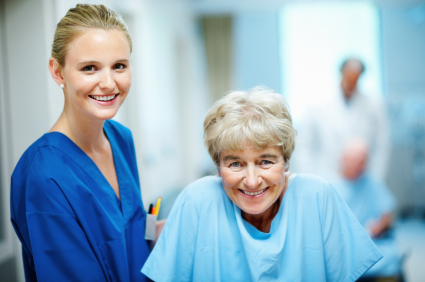 Working as an oncology nurse provides a very fulfilling career for nurses everywhere. They have the ability to make a difference in the lives of many people who suffer from cancer, and they provide education to help others prevent getting cancer. Their jobs are extremely demanding and tough, but oncology nurses perform their roles with a high level of expertise.